Goodbye 2011. Hello 2012. Let's start the year off gently. Use the coupon code FREESHIPPING to get, you guessed it, free shipping on your order in either the DWITT Market or my Etsy shop. Good through the weekend, expires Monday morning, January 2nd. And you can ALWAYS get free shipping here in the SHOP of DWITT.com. 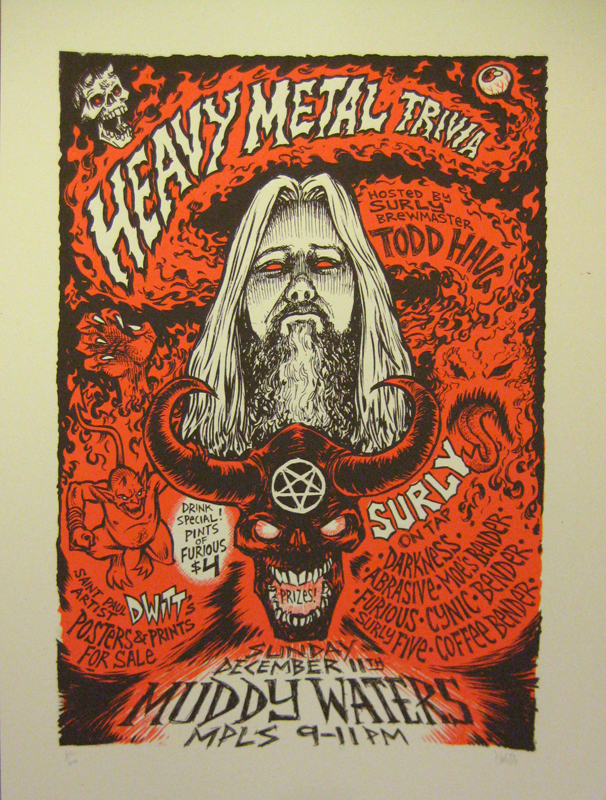 This Sunday at Muddy Waters in MPLS, bang your head, use your brain and flex your liver. I'll be there with stacks of prints with special prices to help you stuff the stockings of your loved ones. Cheers! 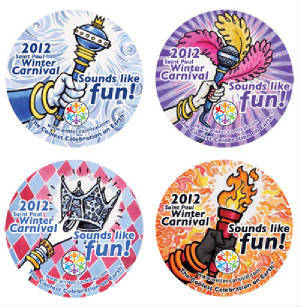 I am honored to have created this years buttons designs for the Saint Paul Winter Carnival. You can buy them at Super Americas and Cub Foods locations around the Twin Cities metro area. Support the country's longest running festival, The Coolest Celebration on Earth! 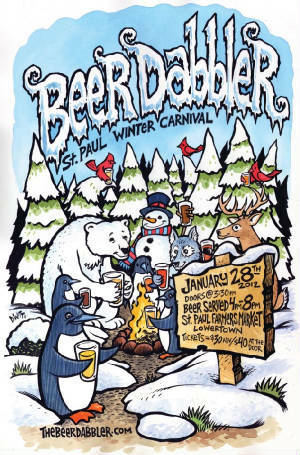 I have also created the poster and t-shirt design for an event within the Winter Carnival. The Beer Dabbler! 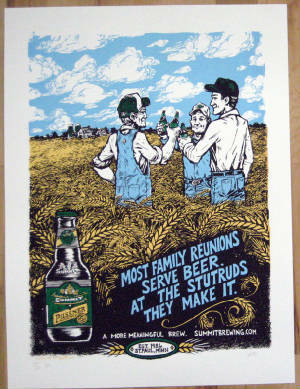 For this week only, you can pick up a copy of my Summit Brewing Co. poster in the DWITT Market for only $15. Follow this link to buy your copy.